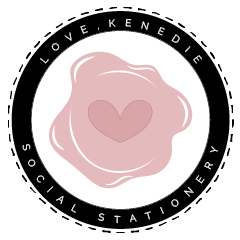 Creating a "brand" for your wedding gives a special cohesiveness across all of your wedding stationery. I always recommend completing your suite. Getting everything in one place makes things easier and a consistent design makes your special moments more memorable.